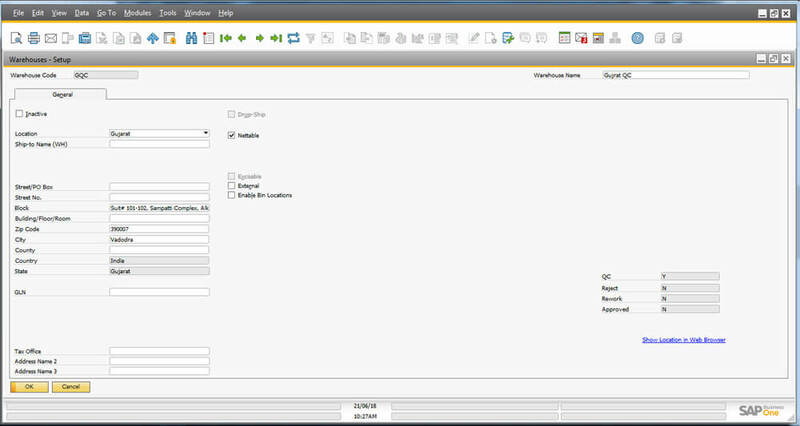 In core SAP Business One, QC is not available inbuilt. But QC is more important transaction for manufacturing & trading business. Sales & Purchase good quality product is essential in today’s competitive business world. For any manufacturing & trading business, it is essential to know from which supplier they purchase goods & their quality. Sometime company gets sample form their supplier which they maintain QC & so on. Based on detail analysis, it found that company segregates QC approved stock & rejected stock in their business premises. 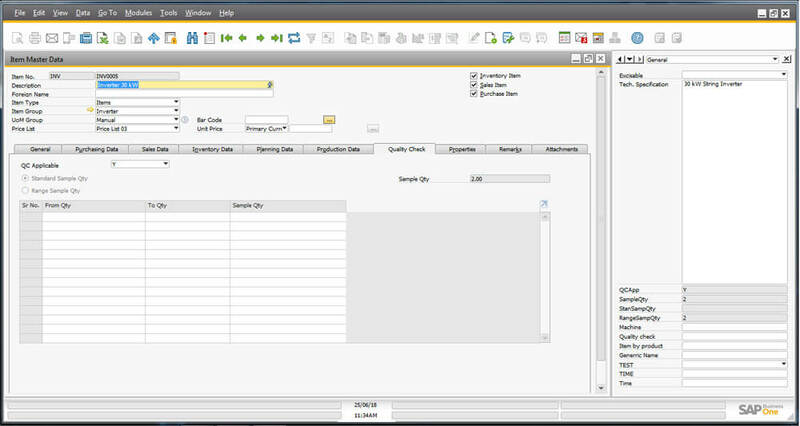 User purchase goods from their suppliers, User will do GRPO transaction in SAP B1 & based on QC configuration, system will transfer goods to QC warehouse. QC department will check QC of purchased goods based on pre-defined parameters. Once this process completed QC department enters “Pass or Reject” details & system will automatic segregate stock accordingly. Sometimes stock lies in warehouse. So there may be chance to degrade/corrosion affects the goods. Hence, Organization requires arranging re-QC process. QC department will check QC of goods based on pre-defined parameters. Once this process completed QC department enters “Pass or Reject” details & system will automatic segregate stock accordingly. In multinational/big corporates require QC check of their goods before dispatch process. Hence, company has to check QC of items before delivery & then generate QC certificate. Hence, Hence, Organization requires arranging re-QC process. QC department will check QC of purchase goods based on predefines parameters. Once this process completed QC department enters “Pass or Reject” details & system will automatic segregate stock accordingly In this case, at the time of dispatch, system asks for QC check documents no link. So, if no link system will not allow to generate dispatch note. 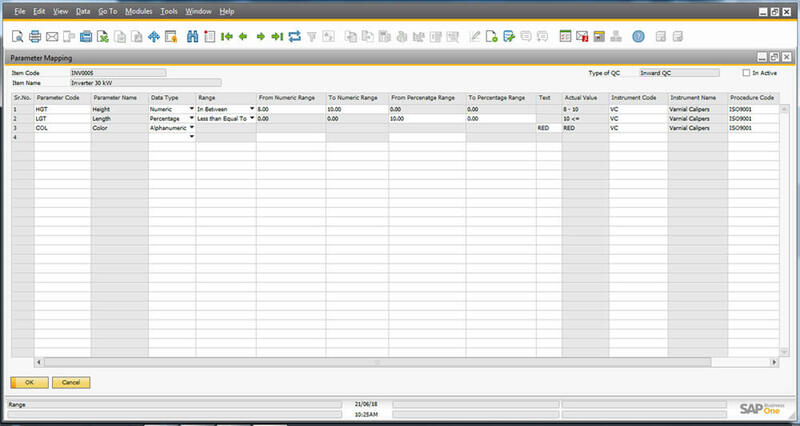 Silver Touch QC add-on will be helpful to keep Quality Check process simpler. 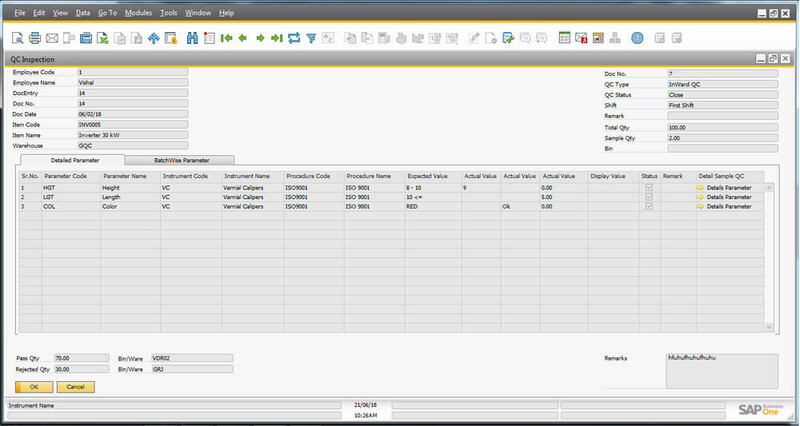 Required Inspection reports will be generated from SAP Business One itself. 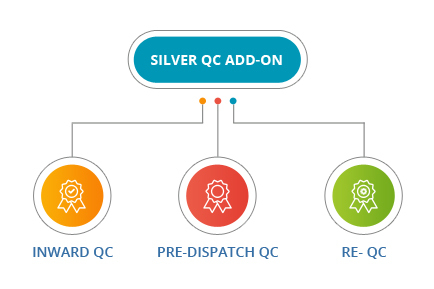 Silver Touch QC add-on is having all three stages in ward QC, Re – QC and out ward QC. Due to accurate and real time reporting decision can be made faster. Due to quality check process Quality Goods can be delivered to client.